A soft bloomy rind cheese in the camembert family. The unique characteristic of this cheese is its blended composition from both cow and goat milk with a dash of fresh cream. 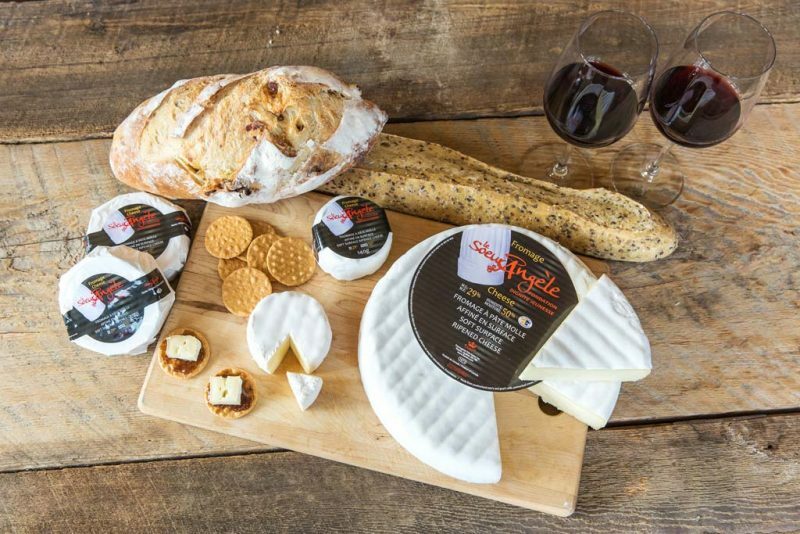 Le Soeur Angèle is a smooth and creamy cheese with a lingering caprine flavoured finish. The creamy and buttery taste is complemented by the mushroom aroma of the rind. Product category Double cream. Soft bloomed rind cheese, made of cow's and goat's milk and a dash of cream. Lait de vache et de chèvre pasteurisé, crème pasteurisée, cultures bactériennes, sel, chlorure de calcium, présure ou enzyme microbienne. P. candidum.